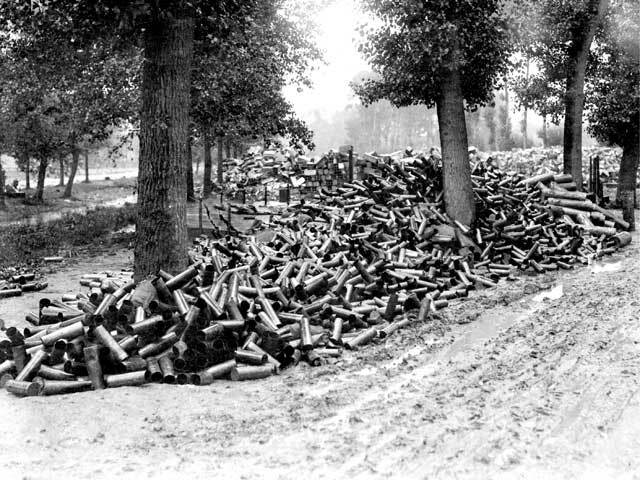 In August 1914, for example, British field guns had a total of 1,000 shells available at or approaching the front lines; by June 1916 each eighteen-pound gun had 1,000 shells stockpiled at its firing position, and by 1918 Britain had over 10,000 guns, howitzers and trench mortars in the field. 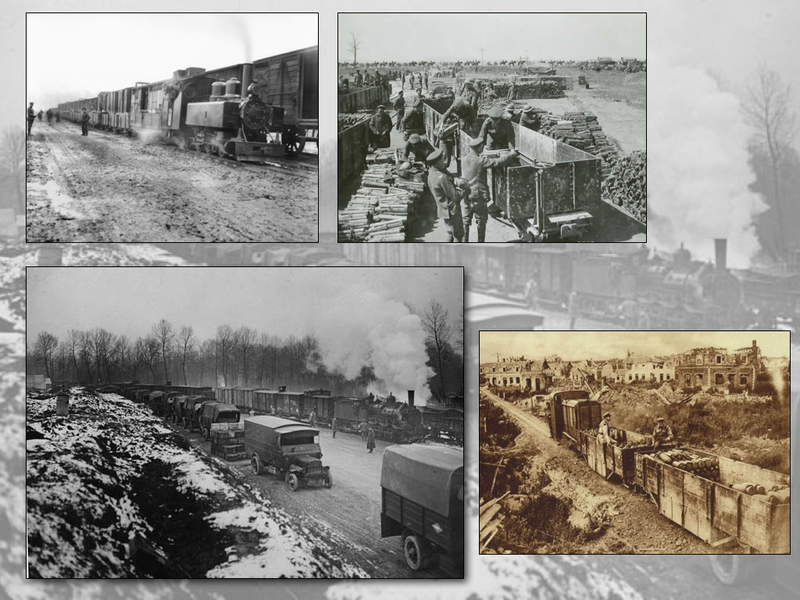 An elaborate system of light ‘trench railways’ was constructed on the Western Front to transport the ammunition to the front lines. (A note for afficionados of crime fiction: see Andrew Martin’s The Somme stations ). And it was locked down in part because men and material continued to be moved up to the front lines. Now Creveld’s argument was limited to ground forces – he said nothing about sea power or air power – and was confined to war in Europe, and these are significant caveats. 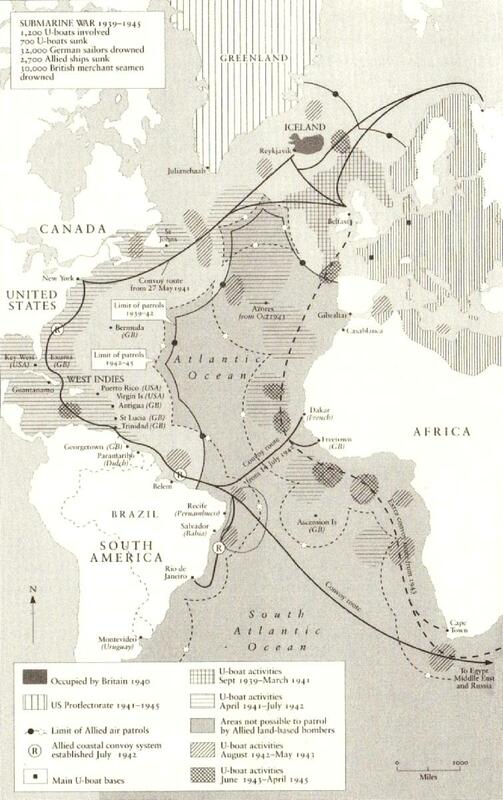 During the Second World War the Battle for the Atlantic was crucial. Churchill famously declared that ‘Never for one moment could we forget that everything happening elsewhere, on land, at sea, or in the air, depended ultimately on its outcome.’ There is a rich literature on convoys and submarine attacks that I’m only just beginning to explore. Although the Allies lost 3,500 merchant ships and 175 warships, however, more than 99 per cent of ships sailing to and from the beleaguered British Isles survived the crossing. 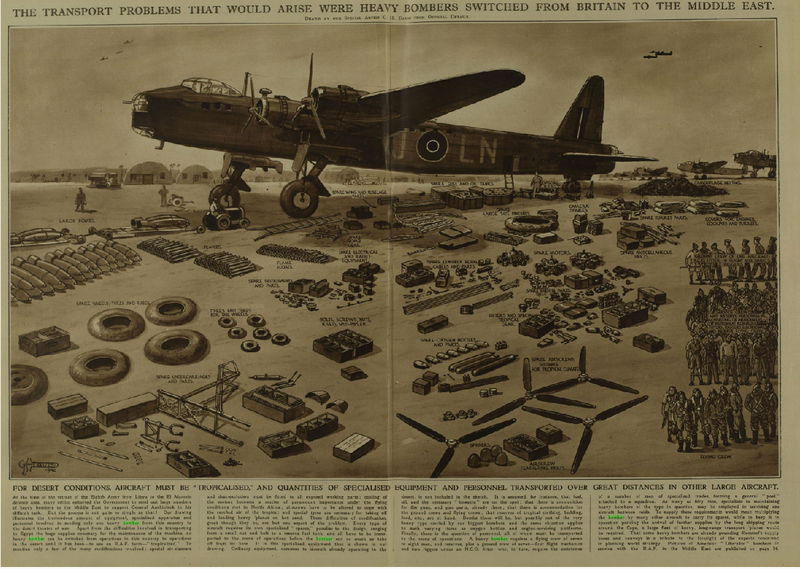 If we enlarge the scale to consider the supply of war materials beyond the European theatre – as in this graphic which shows US global logistics during the Second World War – then the complexity and vulnerability of the supply chain becomes even clearer. It’s worth remembering that today’s use of UAVs like the Predator and Reaper in distant theatres of war and conflict zones also requires the transport of the aircraft, ground crews and the crews responsible for take-off and landing; once airborne, the missions are usually flown from the continental United States but they involve an extended global network of supplies, personnel and communications. 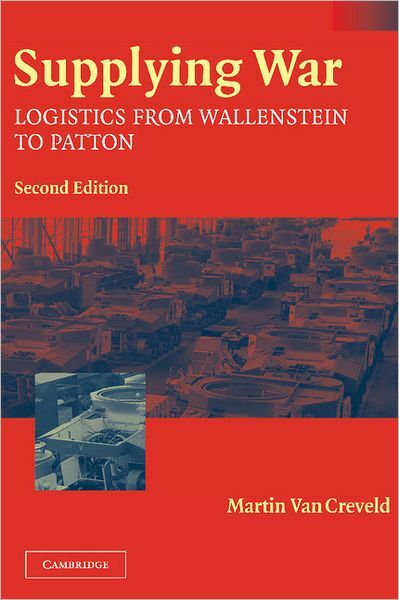 In fact, writing in 2004 Creveld concluded that since 1945 the logistics burden had not eased nor had armed forces increased their operational freedom. 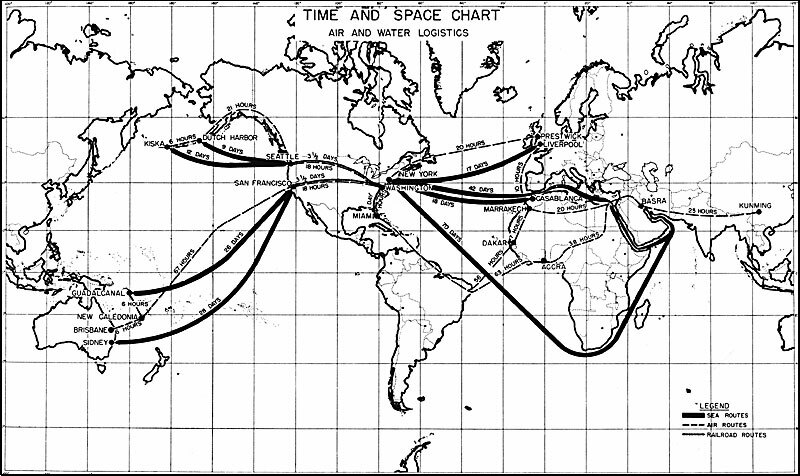 The two most important changes have been an even greater reliance on petrol/gasoline (a key target of Allied bombing in the final stages of the Second World War) which, by the 1990s, had displaced ammunition to become the single bulkiest commodity to be shipped to supply distant wars, and a dramatic increase in outsourcing through the use of private military contractors. And, as that last phrase signals, I’ll need to deepen and extend all these arguments for the book-length version of Deadly embrace. 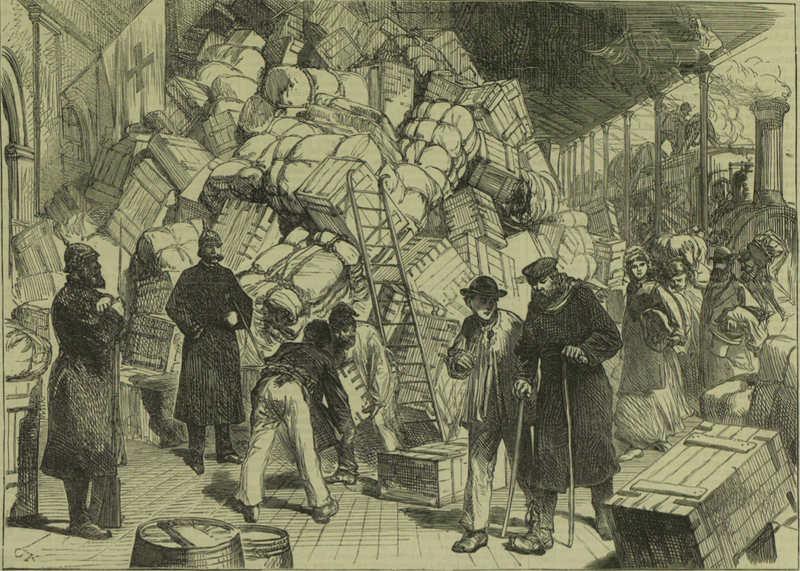 We are still a long way from the Montreal Gazette’s nineteenth-century dream of ‘frictionless war’. 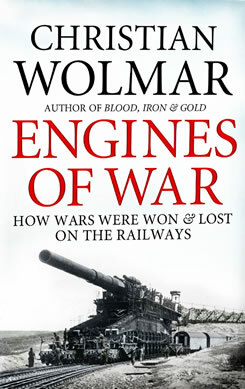 This entry was posted in Afghanistan, logistics, World War I, World War II and tagged Christian Wolmar, Deborah Cowen, Martin van Creveld, railways by Derek Gregory. Bookmark the permalink.